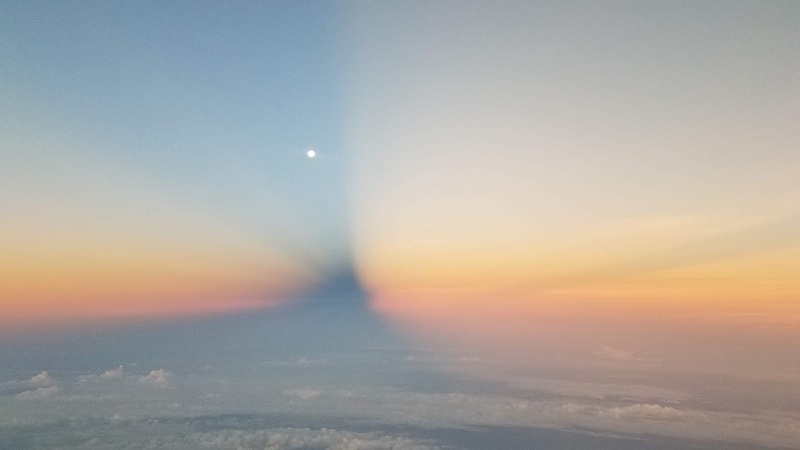 The shadow created by clouds on the horizon at sunrise. "Do you see that?" Outside of "Where the eph are we going", "Why is it doing that", and "Shouldn't we be higher", this is probably the most common question I have on the flight deck. Cruising along at three-four-zero, I'm amazed at the number of other pilots who fail to see what can only be seen "up there." 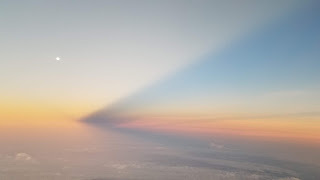 I don't know why that is but I suspect it has to do with the never ending effort to remove everything that is beautiful or moral from all that is good. Never let that happen to you.